July is my MOST favorite month!! I absolutely love America and love that I have a birthday in the same month as our country. 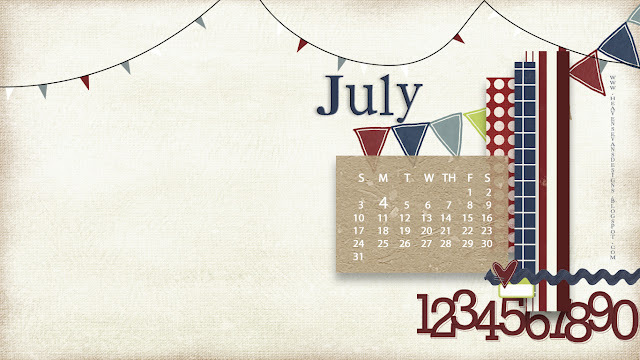 I love to decorate in Americana and I am so excited for this month's desktop theme. Check out the post below this one as well ... more America! 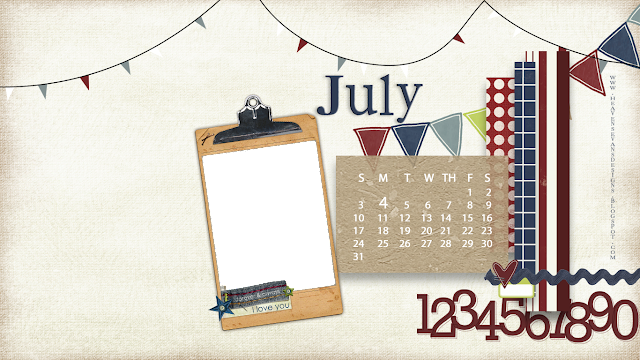 There was a blog hop this month from Jessica Sprague's CT that was only for a week, but it was so fun and I loved their kits. The elements and papers are from their kits. Check out their shops. I hope you enjoy them! Let me know if you do ... or don't. Either way.